Educators who want to teach special education programs from preschool through grade 12 must be certified to show they have the skills necessary to teach at that level. That’s why candidates take the Praxis II Special Education: Core Knowledge and Applications (5354) Exam, which tests knowledge of basic special education principals. The test’s content is largely based on the Special Educator Professional Preparation Standards. Those standards were created by the Council for Exceptional Children (CEC). 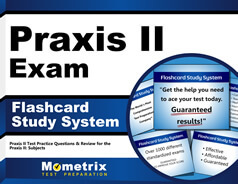 Each state that uses the Praxis test sets its own passing score and certification requirements. Candidates can obtain that information from your local agency. Here’s what you need to know about the Praxis II Special Education: Core Knowledge and Applications (5354) Exam. Praxis tests are available at testing centers around the country, so one should be convenient for you. There is a $120 fee to take the exam. How long do I have to complete it? The test consists of 100 questions, although some questions may not be scored. Candidates have two hours to complete the exam, which is given by computer. The test contains selective response questions. Selective response questions often begin with a choice, in the form of, “Which of the following …” Candidates can then choose from a list of answers. 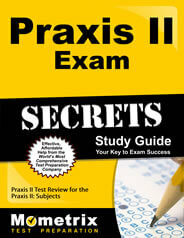 What is on the Praxis II Special Education: Core Knowledge and Applications (5354) Exam? There are five content categories, each with a varying number of questions. The approximate number of questions are listed below. Assessment has 22 questions. It tests effective and appropriate evidence-based assessments, interpretation of assessment results, using and defining assessments, and other topics. Calculators may not be used on this test. What are the testing center policies on the day of the exam? Candidates must bring a government-issued ID with a photo and a signature, like a driver’s license, to the testing center. They must also bring their test admission ticket. Make sure to arrive at the test center early — at least 30 minutes ahead of your test time. Test takers who arrive late may not be able to take the exam. There are strict security measures at the test center. Candidates may, for example, have their eyeglasses inspected and may be asked to empty their pockets. Candidates cannot bring any personal items or electronics into the testing room. The list of banned items includes mobile phones, tablets, smart watches, jewelry (except for wedding and engagement rings), hats, scarves, and ties. Do not bring pencils or erasers; they will be provided for you. How will I know if I passed the test? Each state sets its own passing requirements, so it’s important to check with your local jurisdiction. Some scores are available as soon as the test is complete, while others take two to three weeks to receive. I want to take the Praxis II Special Education: Core Knowledge and Applications (5354) Exam but need to prepare. What’s the best study materials I can get? The Mometrix study materials, which are prepared by professionals in the test-taking field, can help you prepare for the Praxis II Special Education: Core Knowledge and Applications (5354) Exam. Our study guide helps candidates understand how to solve problems, answer difficult questions, navigate time issues and more. Our flashcards provide strategies to help break down questions and solve them. There are no better study materials on the market.